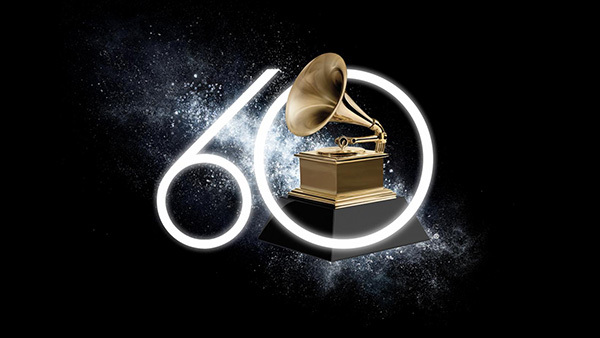 On, January 28th in New York City – that’s the date and location where the 60th annual Grammy Awards will be taking place, with anyone who owns an iPhone, iPad, Mac, or Apple TV able to sit back and watch the whole thing, complete with the lovable/loath-able James Corden. This is the second year in a row the Brit has been in charge of proceedings, and whether you are a fan or not, it’s fair to say it should be an interesting night for all concerned. Starting at 7:30 PM ET / 4:30 PM PT but with the all important red carpet coverage starting an hour before that, there should be plenty to enjoy throughout the full 3 hour 30 minute runtime. If you want to get in on the action, and have an Apple device handy, here’s what you need to do to get your Grammys on. 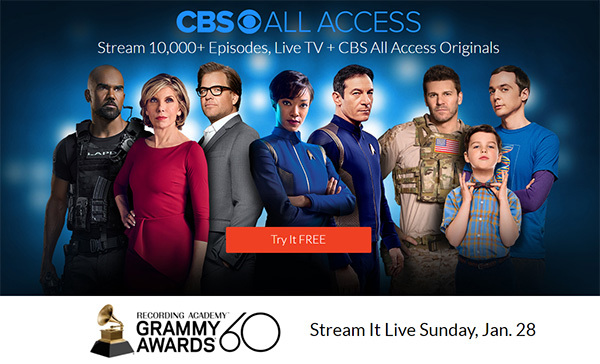 With CBS having exclusive rights to The Grammy Awards, your best and easiest way to stream the whole thing is via the CBS All Access app or website. It’s not free, but there’s a free week-long trial that should see you laughing without spending a penny. Beyond that, it’s $5.99 per month. Signing up can be done either via that CBS All Access app or via the website if you prefer, but just remember to cancel that free trial if all you are looking for is that Grammy goodness. The Apple TV, iPhone, and iPad all have apps available via their respective App Stores. If you’re on a Mac, you can use the CBS website. This year should have plenty to enjoy, and with music from some of the biggest names in the industry, that free CBS All Access trial could be the best thing you did, well, this month. Maybe. I’ve heard of at least some of those! Why would anyone watch that crap though? I’m sure Grammy fans would say the same things about the shows you enjoy!